Pawar, who was returning to Badlapur with a friend, Rajendra Shinde, after visiting a Shiva shrine in Ambernath, fell off the train between the two stations around 8.40 pm. Following the death of teenager Deva Pawar Monday, who fell off a Central Railway train and lay bleeding on the tracks after a police search party failed to find him, the railway police will now formulate “an SOP for search operations” for further railway accidents. Pawar, who was returning to Badlapur with a friend, Rajendra Shinde, after visiting a Shiva shrine in Ambernath, fell off the train between the two stations around 8.40 pm. Shinde informed railway authorities at Badlapur railway station and along with one RPF constable, the station master, a motorman and a Railway police constable, Shinde accompanied the officials on the next train to Ambernath to look for Pawar. Railway police claim that they tried finding the body for nearly two and-a-half hours. “The terrain of the spot roug”, senior police officers claimed, with bushes on either side of the tracks with hardly any lighting in the area to assist the officers who were equipped with weak powered torches. According to railway police commissioner Madhukar Pandey, there will be a study and a proper plan” into railway accident”. “An SOP (Standard operating Procedure) especially for these terrains ought to be done. We cannot sit idle and consider this as a one-off thing. We will need to know whether to approach the spot by a train or by foot,” said Pandey. Pawar’s family, who searched the accident spot the following day Tuesday, claimed to have found Pawar near the tracks. Pawar was declared dead before admission in any hospital. The railway commissioner further said that the training for constables will also be initiated in asking questions that will assist the police during search operations. Citing this incident, Pandey claimed that Pawar’s friend Shinde was unable to recall the exact spot on the railway tracks where he saw Pawar fal” off. Pandey said that an inquiry into the accident on Monday has been initiated. Another senior officer said that the inquiry is being headed by a police officer of assistant commissioner rank and is probing all angles. 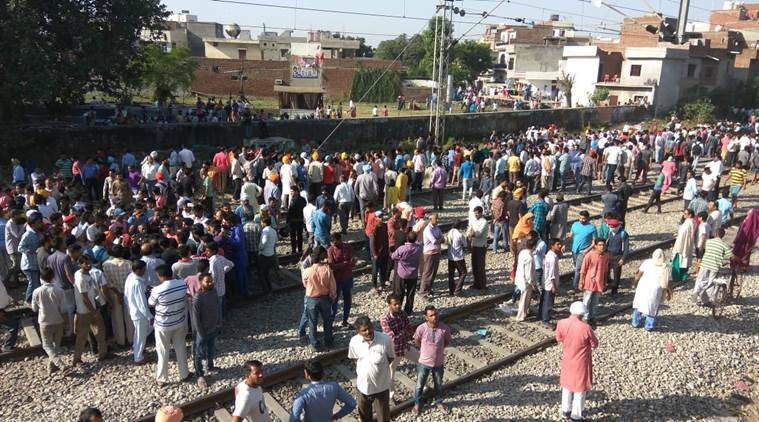 The railway police is believed to have written to the Western and Central Railways requesting to do away with the concept of memos in order to save time in rescuing in railway accidents. “At least a month and-a-half ago, I informed that regardless of who the railway official is including the station master or the RPF, they should just help the victim and not wait for the railway police to reach the victims,” said a senior railway police. The earlier system was that the station master would make a memo, which would be the official record of any accident and then announcements would be made for the Railway police constables. Neither the station master nor the RPF would act unless the railway police constables would arrive.